Silent panic button systems are a safety feature that is in high demand for many businesses. Managers and business owners across the country are altering their stance on the way they look at security. Many companies are utilizing technology to help make their facilities safer for employees. When shopping for the perfect panic button to fit your facilities’ needs, be sure that you take into consideration whether the product is innovative or traditional. Traditional devices are usually hard-wired into a phone line and require a professional to do the installation. Also, traditional panic buttons average around three minutes to alert only one responder. What is the Main Reason to Have a Silent Panic Button for Business? The idea of having a silent panic button for business is to lower the time between the onset of an incident and when responders are on the scene. The goal is to notify responders rapidly. This allows for the quick de-escalation of any crisis, which lowers the opportunity of victimization. The large time delay of the traditional panic buttons is the reason why they are rapidly becoming discounted and ruled ineffective by responders. Why are Traditional Panic Buttons a Mistake? The silent panic button for business devices are activated accidentally, and no one knows what button the alert originated. The traditional panic buttons for businesses are still answered by responders with high priority. However, the delayed notification time on the ones that work proved to be ineffective for a rapid response. 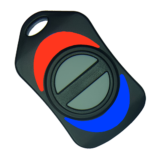 Traditional panic buttons average around three minutes to alert only one responder. Also, many panic buttons default and fail to alert the responder. The traditional panic buttons also fail to confirm notification was received. 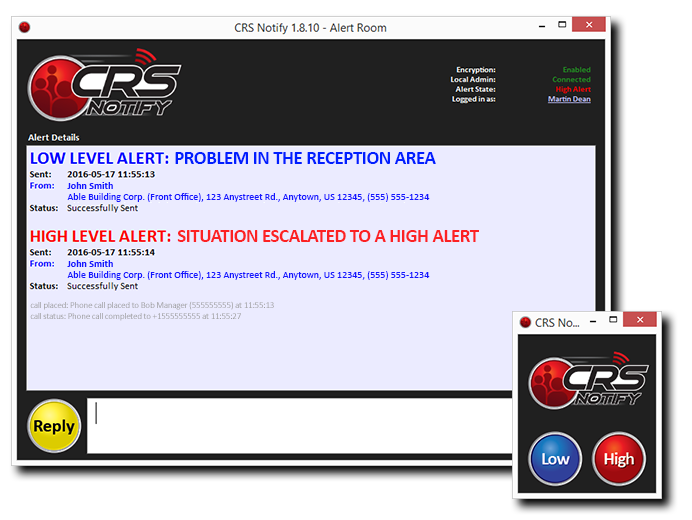 Moreover, they are usually hard-wired and use a phone line to alert only one responder. Does Technology Offer Solutions for a Silent Panic Button for Business? Yes! Technology has caught up and revolutionized the way people respond to situations. The increase in global and domestic terrorism creates a clear and imminent need to have a panic button for businesses. People believe mobile apps are the cure-all for these types of situations. However, an app is not solely the best option. Think about if there was an emergency. Would you have time to find your phone, open it, and locate the app to raise a panic? Phone app panic buttons focus more on individuals rather than buildings and people inside. The key to effective panic buttons for businesses is to lower the notification time to responders and to integrate internal and external notification. Combining internal and external notification means that it notifies everyone within the company while alerting responders at the same time. Internal and external notification should be merged into the push of a button. How Much Should I Budget for a Silent Panic Button for Business? The key to finding a technology-driven silent panic button for a business system that offers free system updates to ensure you do not get stuck with an outdated program. Technology is always changing just like your business. Look for a scalable system that meets your exact needs and the cost will always offset. Surprisingly, the technology-driven business panic buttons are usually priced three to one less than the traditional panic buttons while offering several other innovative features that can easily be molded to your particular needs. Still Unsure About a Silent Panic Button?